T&S Environmental understand the specific needs associated with carrying out Asbestos Management works for Housing Associations. Whether these projects are small, individual aspects of properties or large scale removal and encapsulation works of entire Housing stock, T&S Environmental have the experience, skills, licenses, accreditation’s and resources capable of completing all works, on budget and on time. Having completed various complex projects for various Housing Associations in London, Essex and across the UK, T&S Environmental are uniquely positioned to assist your organisation with even the most complex of projects. Our continual striving for industry best practise is exemplified through our enviable list of Industry leading Accreditation’s. These prove the standard of the works we aspire to and reassure our Housing Association Clients that we are a natural partner for all they’re Asbestos Removal and Management needs. For more information about the services we offer and have performed for UK wide Housing Associations please contact us directly on 01375 398768 to discuss with one of our experts. 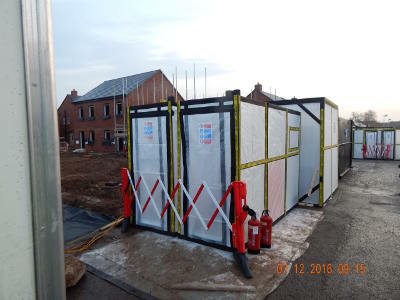 Why Housing Associations Utilise T&S Environmental For Asbestos Removal & Management? 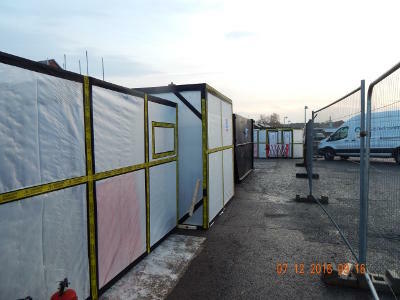 T&S Environmental have completed numerous works in this sector and understand the unique requirements that face Housing Associations faced with large and small scale Asbestos Removal and Management works. We offer a complete set of complimentary services alongside our Asbestos Management offerings, to enable our Housing Association Clients to reduce the number of Contractors required on site for the removal of other hazards alongside Asbestos in they’re housing stock. Our Industry leading set of Accreditation’s speaks volumes to our dedication to Industry best practice and shows the lengths that T&S Environmental have gone to in order to become leaders in our field. These factors make T&S Environmental the natural partner for any Housing Association’s across the UK who need to perform compliant, expedient and cost effective Asbestos Removal & Management works to they’re existing housing stock. For more information please call us on 01375 398768 and our team will be more than glad to assist with your enquiry.